Cambridge Analytica's claims that it influenced the Trump election were a marketing ploy, the CEO of an Ottawa-based analytics firm believes. 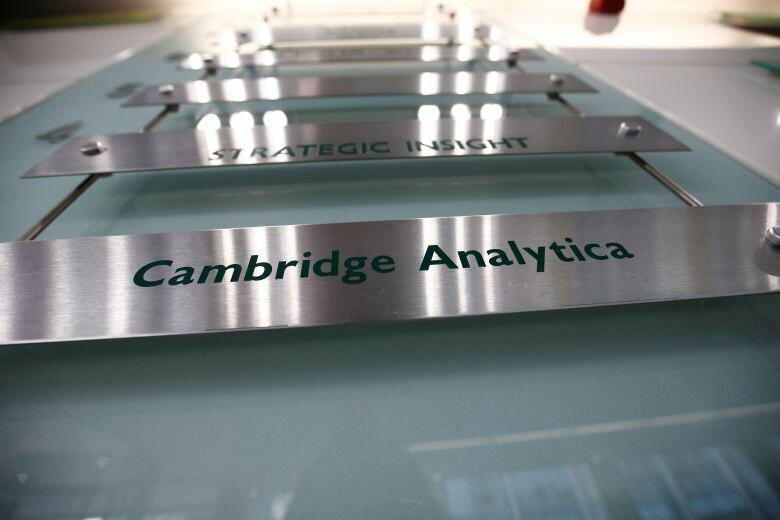 Cambridge Analytica's claims that it influenced the Trump election were a marketing ploy, according to an Ottawa-based analytics firm, which says the British company had boasted about its influence long before it became the centre of a privacy and political manipulation scandal. Cambridge Analytica, which worked on U.S. President Donald Trump's 2016 campaign, has been accused of improperly using the information of more than 50 million Facebook users. Last week Britain's Channel 4 News broadcast shared secretly recorded clips of the company's CEO Alexander Nix saying his firm played a major role in securing Trump's election victory, including "all the data, all the analytics, all the targeting." The London-based company denies wrongdoing. Erin Kelly, CEO of Ottawa's Advanced Symbolics Inc., said she heard of Cambridge Analytica's self-marketing well before the scandal erupted. "They still violated people's personal privacy, and that still needs to be addressed regardless," she said. "Knowing that someone has your file, that is still a gross violation." Canada's privacy watchdog launched its own investigation into Facebook last week to look into the social media giant's connection to the scandal. In a blog post, Facebook said that, while none of the information leak was a result of a data breach, it did appear to involve the passing of personal information from Cambridge Analytica to a third party when that data was supposed to have been destroyed. In order to protect Canadians, the country's privacy regulations and laws need to be more stringent, Kelly said, adding that the CRTC needs to get more involved. Canada should adopt the European Union's model of privacy laws, she said. "When [ads are] personally micro-targeted, it's a problem," she said. "When people know your address and phone number and then they start predicting what you are going to buy in the store — you personally — that's when I think it gets to be a violation."